TextMagic can automatically top up your account with SMS credit when your balance falls below a certain amount. This ensures you are always in credit and prevents any service interruption. 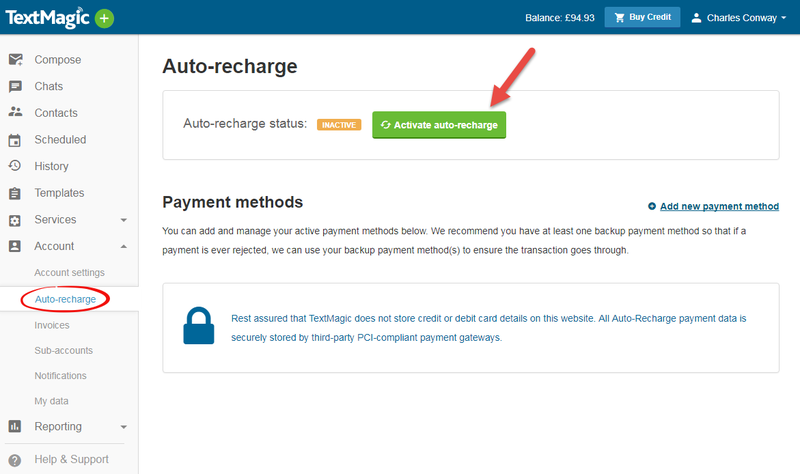 Auto-recharge works with credit/debit cards and PayPal, so you must have one of these payment methods linked to your account. 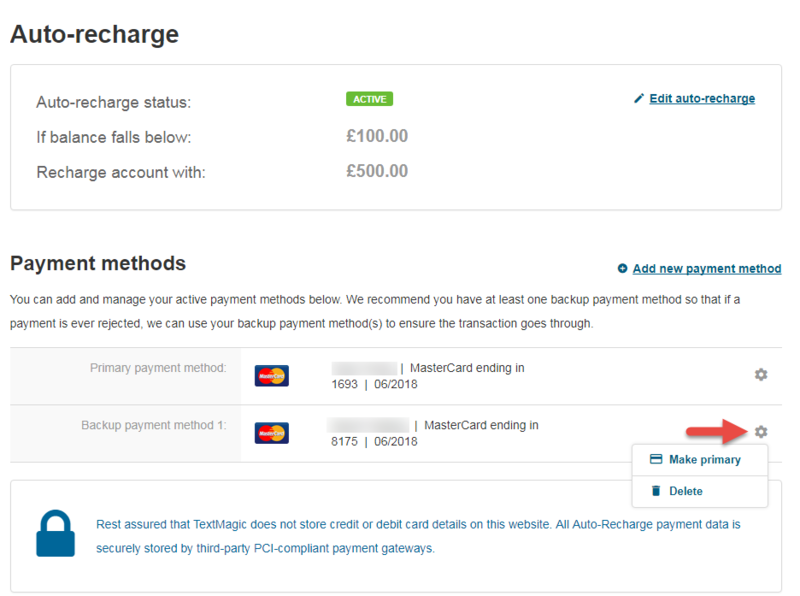 Your credit card or PayPal account will be debited in the same way as if you were making a manual purchase, but Auto-recharge means you don't need to approve each purchase - it happens automatically. We will automatically send an invoice to you via email once the payment is completed. 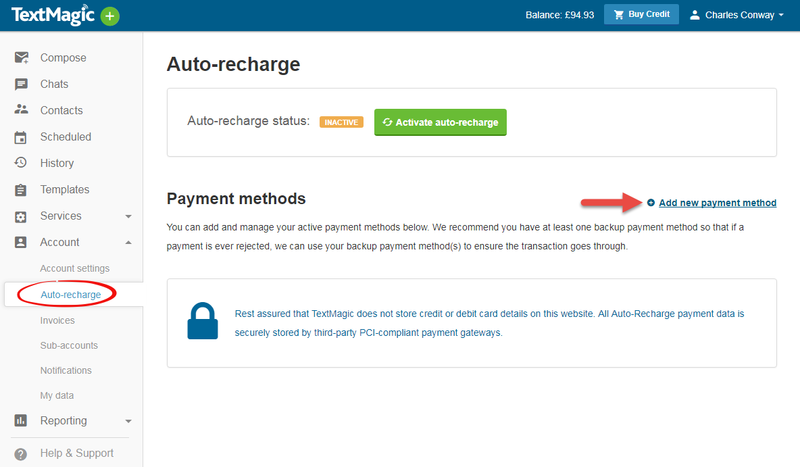 Be aware that using Auto-Recharge is not the same thing as having a subscription, although both involve recurring payments. Select Account and then Auto-recharge from the main menu. 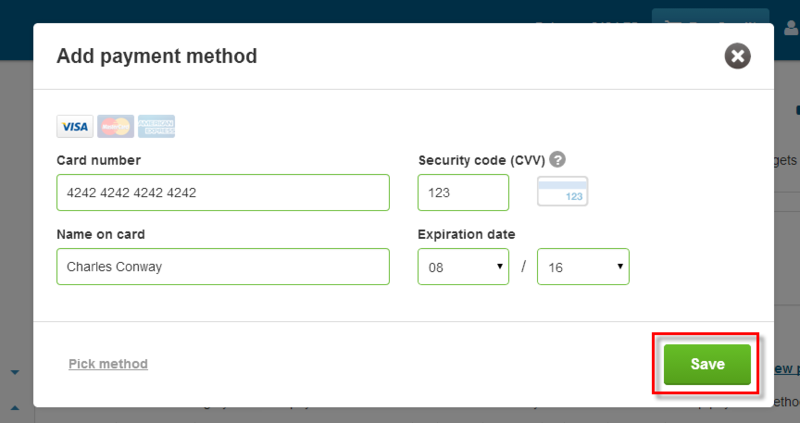 Click Add new payment method. Choose Credit/Debit card or PayPal. Enter your card or PayPal details and save changes. Please note: We recommend you have at least one additional back up payment method on your account to avoid service interruptions due to low balance.